The phone rings. . .
A stranger says, “Mrs. Betters, your son has been in an accident. You must come immediately.” And you know in your heart that you have received the phone call every parent dreads. Your life will never be the same. We received that phone call on July 6, 1993. We raced to the hospital to learn that our youngest child, Mark, and his friend, Kelly, had died in a car accident. Suddenly we belonged to a private club no one would ever willingly join. Since that horrific night, we have met many other parents who are struggling to find a new level of normal as they face each day without one of their children. Some were taken at birth or shortly after. Others were toddlers, pre-teens, or teens. Some were established with children of their own. Each child’s death, regardless of their age, ripped their parents’ hearts to shreds. In this message we share our story. We are honest about our struggle to not only face each day without Mark but also to reconcile the love of God with His sovereign care. How could God really love us when He allowed this to happen? Where is God? He seems so far away. Is He really holding us tightly in His grip? Every time we share our story we have two people in mind. The first is the person who is holding onto life by fingernails and is desperate for a shred of hope. The second is the person who needs to walk in the darkness with a brokenhearted friend. 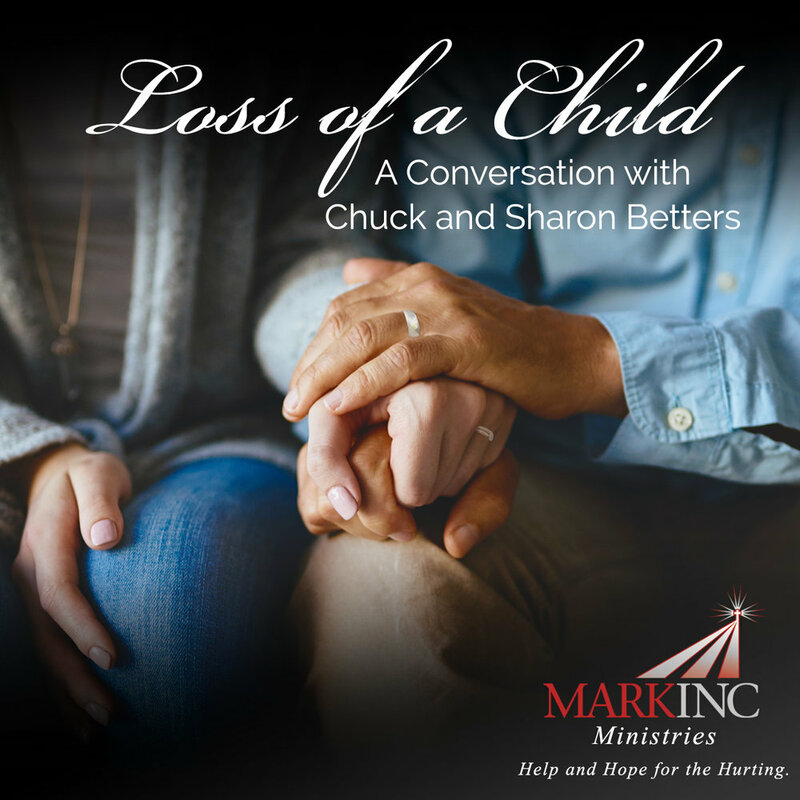 It’s our prayer that it will fall into the hands of that brokenhearted Mom or Dad who needs just an inch of hope to hang on for the next few minutes, and that our message will help equip the one God is calling to walk alongside the shattered parents. We pray that as you listen, you will conclude with us that God is faithful and you can trust Him.